Struggling to find space to store all your film? Looking for a digital solution for managing your content? Thinking about preserving your film archive? 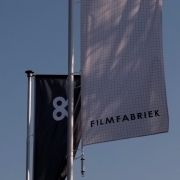 Filmfabriek offers the affordable solution. A central hub to archive, use and manage your content. Always available, always secure. We are all familiar with popular systems such as Dropbox and iCloud. Digital locations for storing your content, with the disadvantage that we are never completely sure where our content is located. This is not the case with the Filmfabriek Media Platform. Storage of your content is controlled centrally and securely.